The Reporter does not provide a way to track changes specific to a user per se, even though you can limit what users can do by utilizing Passwords and defining to which sections of the Reporter each user can access and/or make changes. There are ways to look up entered data by date and thereby deduce who made which changes or simply to check your own work. 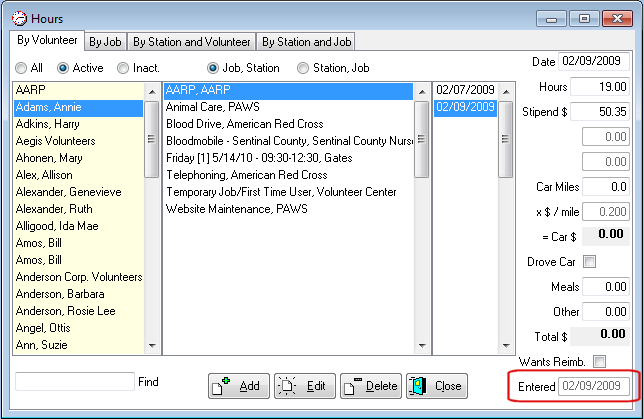 The Data Entry List report is split into three reports: by Volunteer, by Station, and by Job to search on a date to produce a cross check for data entry of Hours. This report is based upon what date the hours were entered into the Reporter, not the date the hours were served. Use this report as a cross check on your data entry. For example, after adding a batch of hours for the day, compare the printed data entry forms with this report to catch any data entry mistakes. 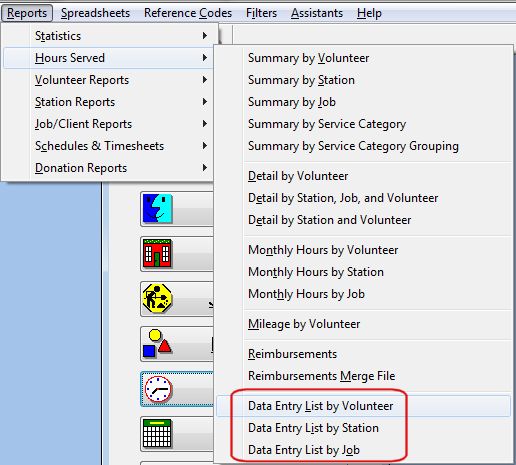 To check hours entries run the reports Hours Served | Data Entry List by Volunteer, Station or Job. * If those fields don't display, checkmark the Use? column for them at the bottom of the Fields Lists setup. 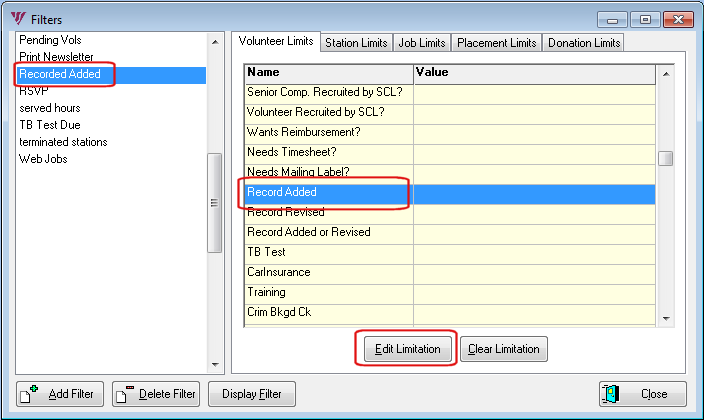 You can make a filter to search on the Record Added and Record Revised fields in Volunteers, Stations and Jobs. With these tools you can track and troubleshoot data entries.